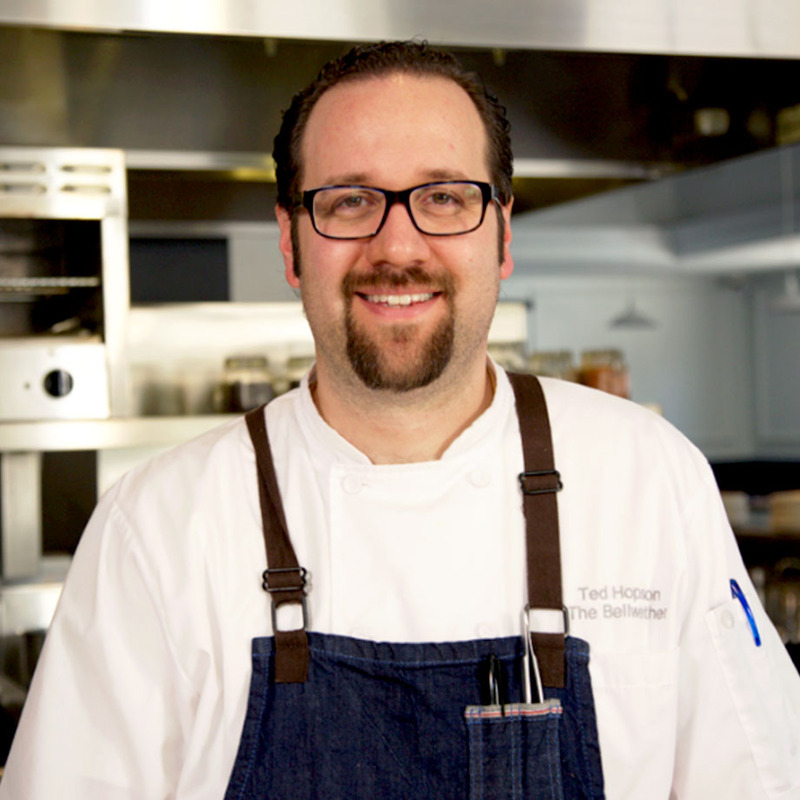 Ted Hopson is the executive chef and owner of the Bellwether in Los Angeles, where he showcases seasonal Californian ingredients in sophisticated, family-style sharable dishes. The combination of his upbringing and professional experience has allowed Ted to hone a unique talent of crafting memorable menus with cozy, nuanced dishes that are vibrant with soul. Growing up in a large Italian household, Ted developed an appetite for the culinary arts early on. His passion eventually flourished into his craft, rooted in a reverence for tradition and love for real ingredients. After graduating from Le Cordon Bleu, Ted was able to explore higher-end applications of cooking by working at fine-dining restaurants like the Michelin-starred Water Grill in Downtown Los Angeles. Ted has worked as the executive chef of Lukshon, and the famed LA gastropub, Father’s Office. He has also appeared on Bravo TV’s Top Chef Masters. Master this classic French technique to create a rich, glossy, and intensely flavored sauce. This simple and flavorful salad is a user-friendly introduction to enjoying beef tongue. A classic cooking method tranforms mild white fish into the star of an elegant plate, built from layers of distinct flavors and textures. The luxurious thickness of strained yogurt is the perfect vessel for the tart and earthy flavors of za'atar. This simple but essential clarifying techniqe will improve both the flavor and visual aesthetic of soups, stocks, and reductions. This amazing yet often overlooked delicacy is grilled, pressure cooked, then grilled again for a flavorful and unique preparation.